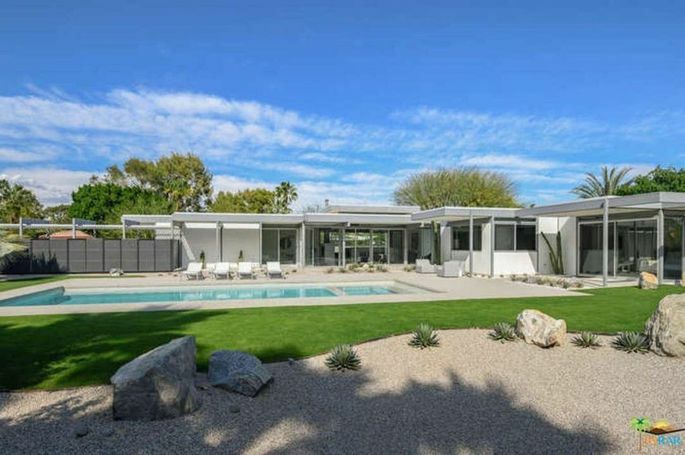 Although the home was built in 2016, it has a distinctly midcentury modern aesthetic. That's because Wexler drew up the plans for the home back in 1961. 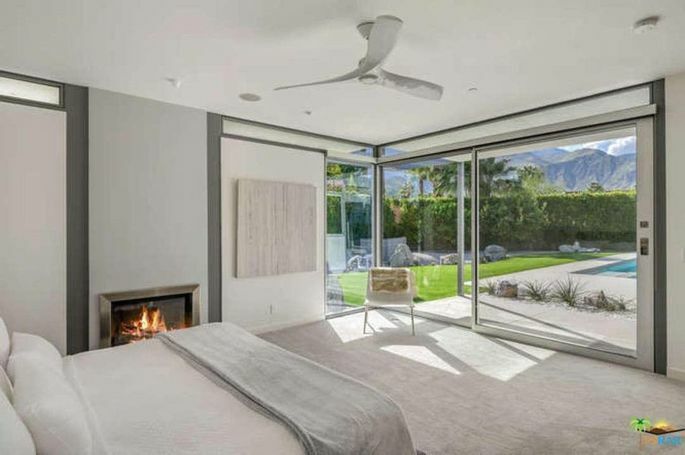 "The steel and glass house is the perfect property for someone who appreciates an architectural pedigree, but wants modern amenities and construction," says listing agent Richard Nolan of The Agency. Among the home's more modern features are smart home technology, Fleetwood doors, and a fire-deterrent sprinkler system in the ceiling. 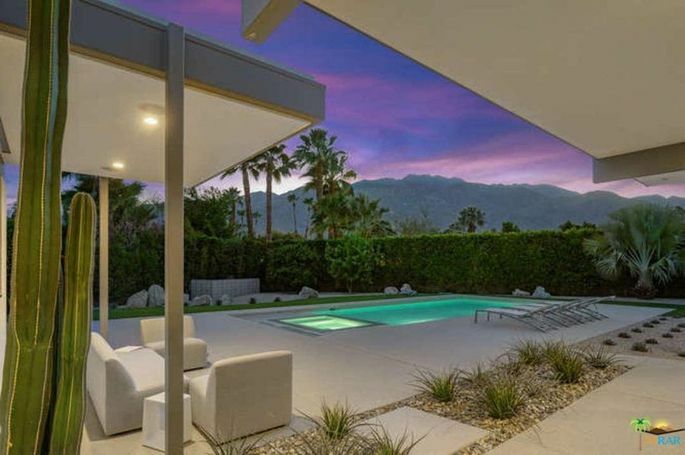 Wexler believed steel was the ideal material for desert construction, since it was relatively economical and could withstand a climate of extreme sun, heat, and wind—all typical of Southern California's Coachella Valley. 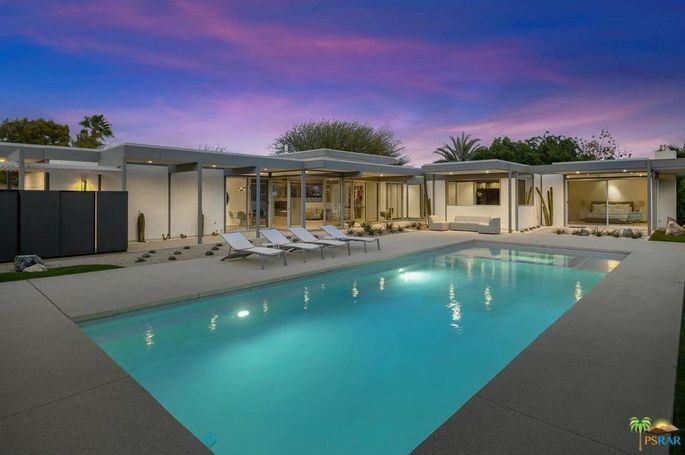 "We didn't even think of it as 'modern' in terms of architecture for the desert," Wexler once said. "We did it to live with the environment, a matter of balancing orientation and views." 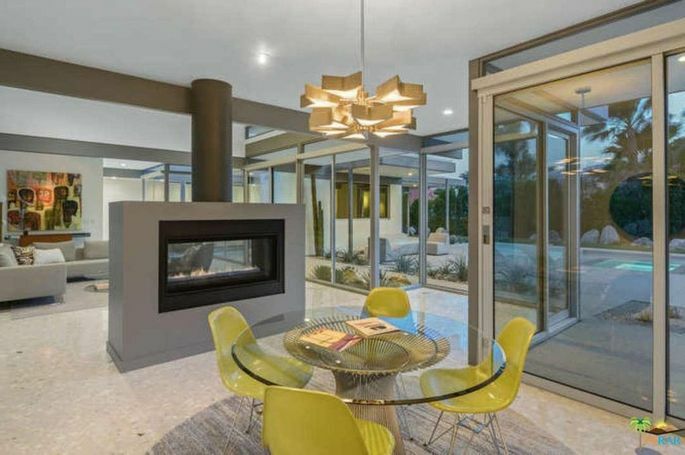 The terrazzo flooring and open floor pan also harken back to the '60s, as does the double-sided fireplace. 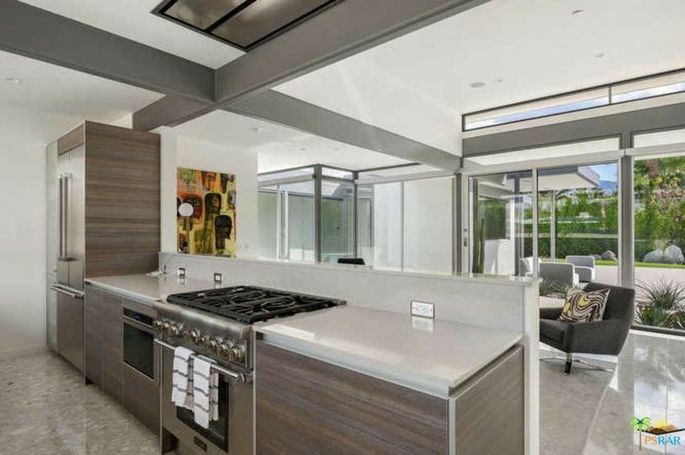 However, the kitchen is tailored to the needs of today's buyers with minimalist finishes and high-end appliances. 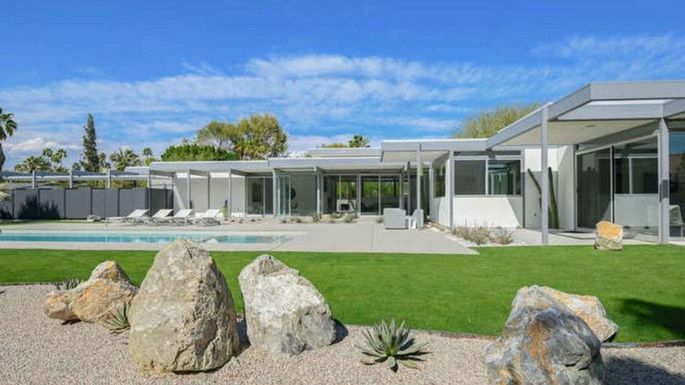 The home isn't massive—it measures 2,550 square feet, which include three bedrooms and three baths. 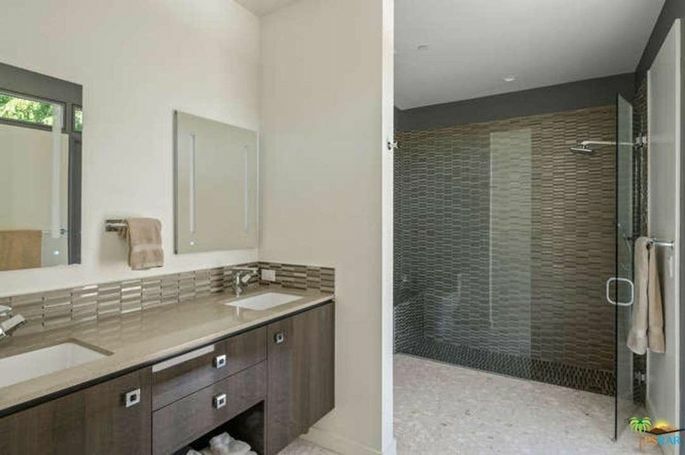 But if feels much larger, thanks to the airy design and the light color palette throughout. 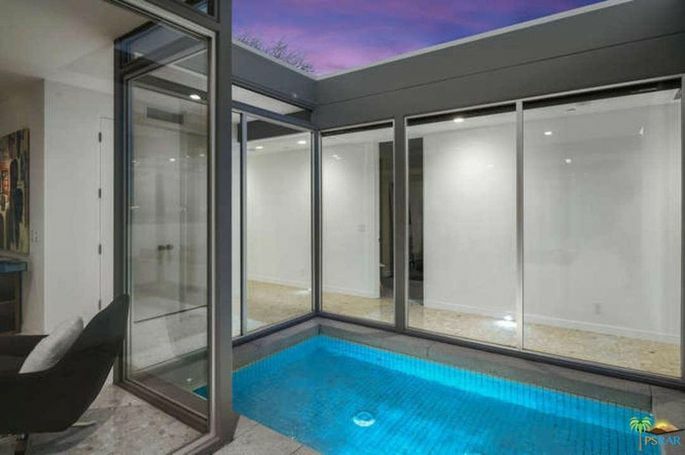 One interesting feature that doesn't seem to have been included in Wexler's original plans is a unique tile water feature that lights up and reflects the glass windows at night. Now, nearly three years later, Nolan says the owners have put it back on the market for someone else to relish. As good as new, Wexler's final creation won't linger on the market for long.